This week an historic election takes place in the United States. It’s outcome will be felt like a ripple of greenbacks washing up on our northern shores. Regardless of who dominates the House after November 6th, the message from American voters has been clear: there are some changes they yearn for and some they simply cannot stomach. Voter turnout is expected to be high. In Canada, our record for voter turnout is an impressive 93.52%. And the stakes for us where no less dire: in 1995 nearly the entire eligible population of Quebec waited for hours in the cold to decide if they would leave the country for good, or reject sovereignty. It was a nail-biter down to the last poll: Canada stayed whole by a minuscule 50.6% vote. Valens GroWorks Corp. (CSE: VGW) sells subsidiary to Rotogro for $11 million. Aussie-based Rotogro gains a solid foothold in the Canadian cannabis market, while Valens spins out some cash to form Valens Labs Ltd., a lab for the testing of cannabis and a “Centre of Excellence for Plant-Based Science”. I’m incomplete unless Paul Hogan is hired to be the spokesperson for Rotogro, advising we Canadians to “put another bud on the barbie”. Since the time of the Shoguns, Japan has been a bastion of exclusionist trading policies. It is a mark of Canadian juniors that we are known world-wide as the go-to district for mineral extraction expertise. And so it is no less a mark of honour for Irving Resources Inc. (CSE:IRV) to have received a mining permit to operate in Hokkaido. Their gold and silver project has the green light to conduct bulk sampling, trenching and diamond drilling. I’m sad that James Clavell won’t be working this into a new 900 page novel. IBS (Irritable Bowel Syndrome) is a very common, and highly painful affliction. The cure for which many companies are racing towards. Whoever figures it out first, with the least side effects, stands to reap the bounty of many grateful sufferers. FSD Pharma Inc. (CSE:HUGE) begins a human-trial of it’s proprietary “Steady Stomach” medicine, which contains CBDs and other active ingredients. The trial is small (just 20 patients) but the potential, like their stock symbol, is HUGE. The CBD market is expected to hit a staggering $22 billion by 2022 (source: cannabis industry analyst Brightfield Group). Crop Infrastructure Corp. (CSE:CROP) is poised to take a sizable bite out of that market – their newly inked deal will allow them to process 1 ton per day at their Nevada facility. With half a million pounds per year going to commercial extraction in the 3 year deal, CROP is also readying a 1,865 acre CBD farm for planting in 2019. I wonder, now that we’re ramping up our economies of scale, can companies apply for carbon credits? Are we really growing that much pot that we might help cool the climate? Something to put in your pipe and ponder on. Liht Cannabis Corp. (CSE:Liht) scored $20,000,000 in Draw-Down Equity Financing. New York-based private equity firm Alumina Partners announce they have conducted extensive due diligence into this financing. As a major player that has made substantial investments in the Canadian cannabis space, analysts take note when Alumina makes a move. While Canada congratulates itself on being the first modern country to legalize, it’s also received some criticism for it’s lack of edible offerings. Meanwhile, California is banging out THC and CBD infused items like they’re throwing reefer darts at a cook book. Gabriella’s Kitchen Inc. (CSE: GABY) launches their ‘alto’ brand of “better-for-you” edibles. Products include an extra virgin olive oil, a truffle-infused olive oil and a garlic-infused olive oil. I like to think Eminem might finally enjoy his mom’s spaghetti again. The bounce is evident and undeniable as the week was marked by sharp, steady rises. 801.39 on Monday Oct. 29th and up to 876.56 by Friday Nov. 2nd. 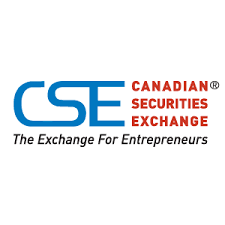 As of this writing, the CSE has gained back roughly half of what it lost since the beginning of October. Canada has been stalwart in our refusal to allow the US to dictate our drug policy (lately). Lots of heavy hitters south of the border played some real hard ball with us, in an attempt to forestall or even cancel our legalization of cannabis. But we did it anyway. And by and large, our country rejoiced. To all the newly elected members of the US government: take a page out of our playbook, America. Tax it, embrace it, expunge the criminal records of your millions of citizens incarcerated for it. And maybe, just maybe, you can bring your country together, like Canada did in 1995. Because when it comes right down to it, we’re more alike than different. We’re stronger when we stand united. And that’s something you guys used to preach to us.